Polish U-19 Champion 2015/2016 with Legia. Polish U-19 Champion 2016/2017 with Legia. 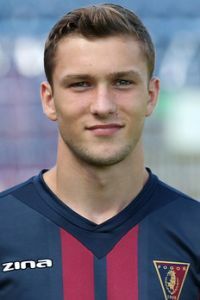 Sebastian Walukiewicz joined Pogoń Szczecin from Legia Warszawa in 2017. He made his Ekstraklasa debut on 4 April 2018 against Legia. His recent performances already caught the eyes of several notable European clubs including Arsenal and Southampton. He is also a regular Polish youth international, having been capped at the U-15, U-16, U-17 U-18, U-19 and U-20 levels – he earned over 35 caps so far.